This entry was posted on May 9, 2010 by Contrastique. 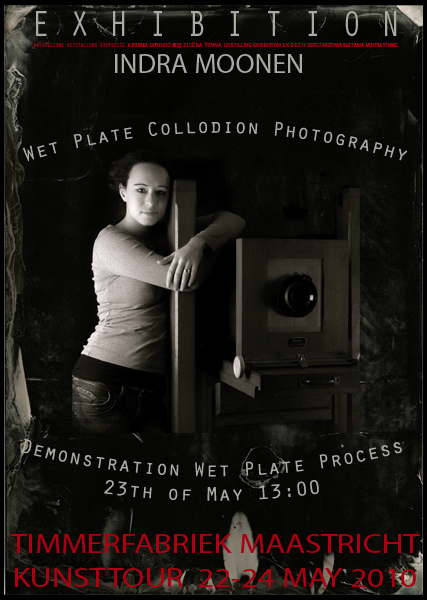 It was filed under Exhibitions & Demos and was tagged with exhibition, kunsttour, maastricht, photography, wet plate collodion. I can imagine that you’re excited because this development. Great that you have an exhibition and will demonstrate. Thank you Gelelie / Ger! Impressions will definitely follow on here!